What is hyperlipidemia or high-cholesterol? Cholesterol and triglycerides are lipids. When the concentration of triglycerides or cholesterol in your blood is too high, it is called hyperlipidaemia. Having a lipid level that is too high increases your risk of heart attacks and strokes. 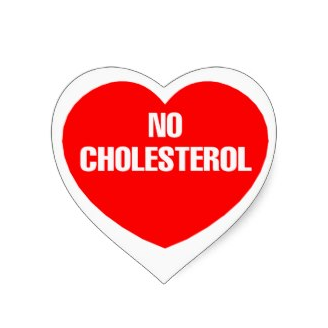 A healthy diet and medicines can help lower you cholesterol. LDL cholesterol. This is often referred to as bad cholesterol, as it is the one mainly involved in forming atheroma. Atheroma is the main underlying cause of various cardiovascular diseases. Usually about 70% of cholesterol in the blood is LDL cholesterol, but the percentage can vary from person to person. HDL cholesterol. This is often referred to as good cholesterol, as it may actually prevent atheroma formation. So you should aim for high HDL cholesterol and low LDL cholesterol in your body. Why do I have hyperlipidaemia? Hyperlipidaemia is often found when people are overweight or have an unhealthy diet. It can also be the result of drinking too much alcohol. It can be something that you may have inherited through your family genes and approximately 1 person in 500 will have this cause. It may be because of another medical condition that you may have, such as diabetes. Some prescribed medicines can also affect your cholesterol level. Peripheral vascular disease of legs and arms. To prevent or manage these conditions, take steps to lower your total cholesterol and LDL cholesterol if they are elevated. Cholesterol levels should be measured at least once every five years in everyone over age 20. The screening test that is usually performed is a blood test called a lipid profile. A high triglyceride, LDL, cholesterol level has been linked to higher risk of coronary artery disease. A high HDL level is linked to low risk of coronary artery disease. Results of your blood test will come in the forms of numbers. Your doctor will tell you when to repeat your lipid profile. For the health of your heart, any type of exercise is better than none, but aerobic fitness has the most benefits. 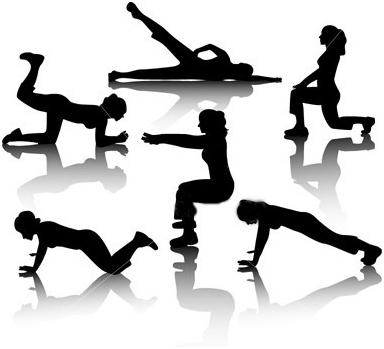 Aerobic activity is exercise that causes your body to use oxygen in order to burn fat for energy. Typically, this requires activity that is sustained over a period of time and that uses the large muscles of your arms and legs. This type of exercise makes your heart work harder. Over time, it strengthens and conditions your heart. What Should I Know About Aerobic Exercise? 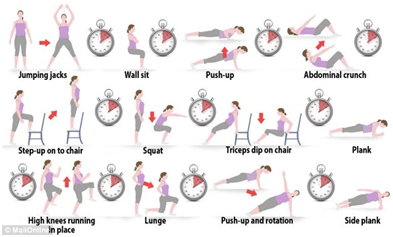 Aerobic exercises should be done at least 30 min daily. Strength training has these benefits. It helps develop muscle strength and endurance. It may lower blood pressure. It helps control blood glucose. It helps prevent bone injuries, especially in older people. It makes everyday activities easier. How much strength training you need. 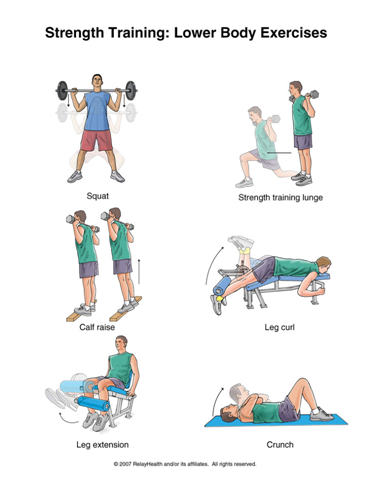 Who should NOT do strength training. 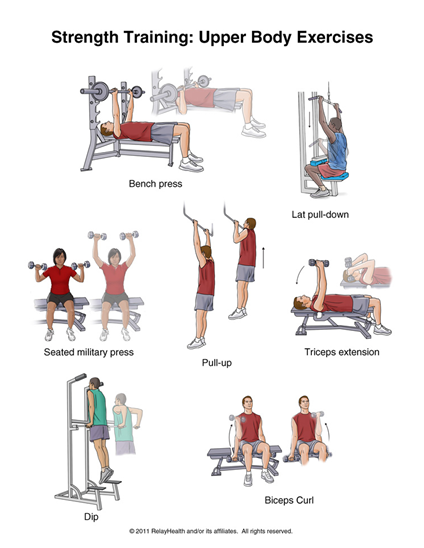 Before you begin any physical fitness program, make sure that you check with your doctor to see what is best for you. Keep your salt intake to under 6 g a day. Keep your weight and waist in check. Cut back if you drink a lot of alcohol. Many restaurants offer delicious, low-fat, low-cholesterol meals. These tips will help you make eating out healthy and enjoyable. If you are familiar with the menu, decide what to order before entering the restaurant. This tactic will help you avoid any tempting foods that may not be as healthy. 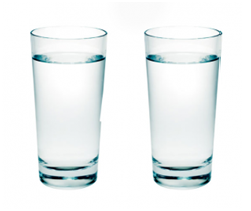 Drink two full glasses of water before your food arrives. Avoid foods described in the following way: buttery, buttered, fried, pan-fried, creamed, escalloped, au gratin (with cheese), or a la mode (with ice cream). If you do eat bread before your meal, choose Melba toast or whole-grain rolls without butter or margarine. Order potatoes baked, boiled, or roasted instead of fried. Ask the server to leave off the butter and sour cream. Order first so that you will not be influenced by other's choices. For appetizers, order broth-based soups instead of creamy soups or fried finger foods. 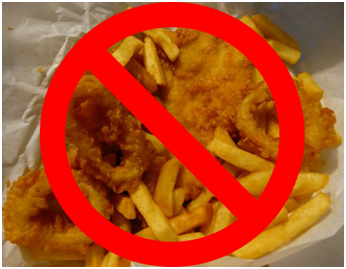 Choose seafood, chicken, or lean red meat rather than fatty or processed meats; remove all visible fat from any meat. Ask for steamed vegetables instead of fries. Ask for the sauces and dressings on the side so you can control how much you eat. Ask the server about ingredients or preparation methods for the dishes you're not familiar with. For dessert, order sorbet or fresh, seasonal fruit without whipped cream or a topping. Add more soluble fiber (found in cereal grains, beans, peas, and many fruits and vegetables) to boost your LDL-lowering power. The best way to know what's in the foods you eat is to read the nutrition label. Fish - Most white meat fish is very low in fat, saturated fat, and cholesterol. Check this sample diet plan. - 2 cups of poha or 2 slices of bread or 6 tbsp of cornflakes or 1/2 a cup of porridge. - 1 medium-sized apple/orange/guava/pear or a medium slice of papaya or 10 grapes.